Big, stompin’ rum maybe meant to be a mixed-drinks base but really good neat. Definitely helpful for getting loaded when dollars are tight; interesting when mixed in any number of cocktails. Feeling lonesome in some cold winter clime and miss the Ole Country? This will cure what ails you. First posted 29 January 2012 on Liquorature. I don’t always get top end rums like Barbancourt’s Estate Reserve 15 year old to try, and often, I don’t even want to try them. Sometimes, like most people who’ve had a hard week, I just kick back with a glass of hooch that makes no pretensions to grandeur, pour it, mix it and glug it, and like the fact that it’s just there to make me feel better. Myer’s Planter’s Punch Dark Rum falls squarely into that category, and joins – maybe exceeds – fellow palate-deadeners like Young’s Old Sam, Bacardi Black, Coruba or Potter’s at the tavern bar. These are single digit rums or blends, meant for mixing (cowards cut ’em with whisky) and for my money, they’re all sweaty rums for the proles, displaying a remarkable lack of couth and subtlety – I appreciate them for precisely that reason. Pour a shot of the stuff and you’ll see where I’m coming from: Myer’s is a dark brown-red, oily rum quite distinct from Appleton’s lighter coloured offerings, and the scents of molasses, liquorice, nutmeg and dried fruit don’t merely waft out onto your nose – they gobsmack your face off. Once you stop crying like a little kid at the neighborhood bully or staring at your glass in wonder, I imagine you might try to recover your dignity, and observe how you can detect caramel, vanilla, perhaps a bit of nutmeg, coconut, citrus. Quite encouraging for something so cheap (less than $25). The tromping arrival of unleavened flavour square-dancing across your tongue is perhaps the main selling point of a rum like Myer’s. What is lost in subtlety is made up for by stampeding mastodons of a few distinct profiles that actually mesh quite well: caramel, coconut shavings, molasses, fruit, burnt sugar with maybe some orange peel and baking spices thrown in. 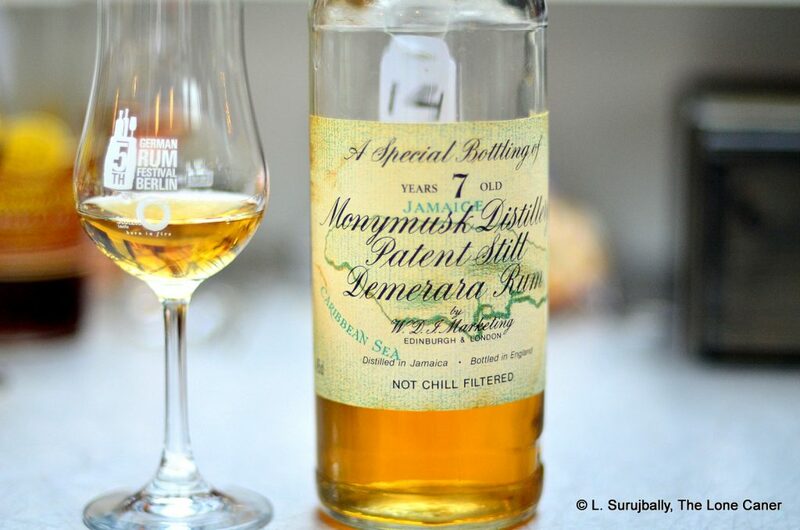 There’s a weird butteriness in the taste somewhere… maybe from the ageing? Overall, I wish I knew for sure whether they augmented the profile – as I think they have – with any additives: a rum this cheap is unlikely to be this interesting merely on the skill of a blender (if it was, it wouldn’t be so cheap). And there’s a fade here, boys and girls, but it’s strong – more like the exit of a gentleman bank robber discretely blasting away with his gat than the soft silken swish of something more polished. And it’s long, very pleasant – this is a rum which could easily be stronger and still be good. 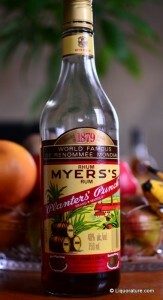 Mix Myer’s Dark Rum in a Planter’s Punch, in a dark-rum cocktail (feel free to consult Tiare’s excellent site a mountain of crushed ice or any tiki site for ideas) or just mess with the old stand-bys, and the few weak points of the drink as a neat drink are smoothened out and it becomes an excellent base for whatever you feel like making. I’m reviewing it as a sipper, as I must, but this should not discourage you from trying other variations. 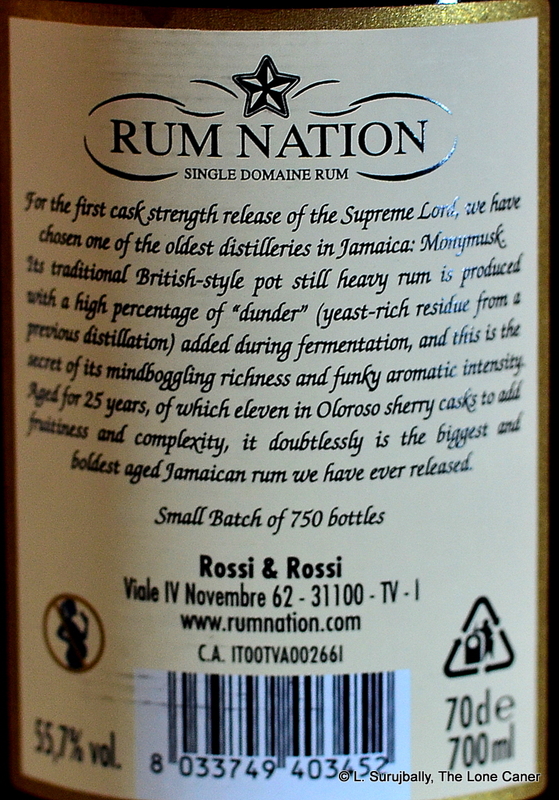 Canadian rum…is there such a thing? Myer’s Dark Rum is hardly an unknown, of course, having been a staple of the cocktail makers’ bars the world over for decades: It was indeed made specifically to address the popularity of Planter’s Punch (which could be equally said to originate in a recipe dated 1908, or in a Charlestonian doggerel from 1878 depending on who you ask). 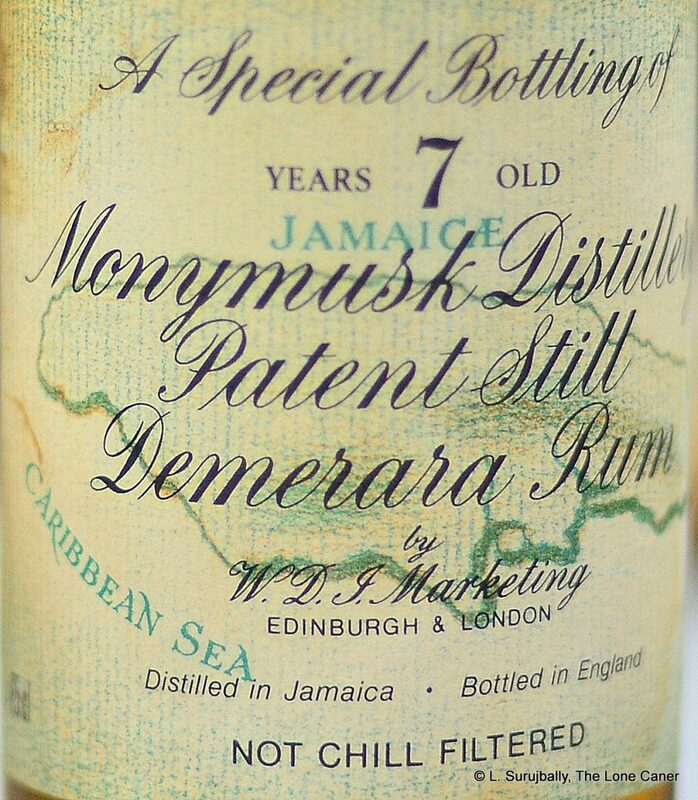 The company founded by Fred Myer in 1879 is now owned by Diageo, and they continue to blend nine rums out of Jamaica at the southern distillery of Monymusk (the plantations of origin are more secret than Colonel Sanders’s recipe) into the drink that we know today. Monymusk, as you may recall, also makes the middling Royal Jamaican Gold rum, which isn’t anywhere near as fun as Myer’s. Aside from calling it the “Planter’s Punch” variation, it is supposedly the same as that first produced in 1879, made from Jamaican molasses, and a combination of distillates of both pot and column stills, then aged for four years in white oak barrels. 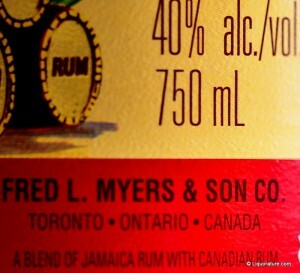 I’ll also note that my bottle clearly states Myer’s is a blend of Jamaican and Canadian rums, at which I immediately sneer and say…well, “Bulls..t”, not the least because after years of crisscrossing the country in my beater, I still haven’t found a single sugar plantation and therefore I somehow doubt Canada has a rum of its own. I have to be careful in assigning a rating to Myer’s. It’s not quite a sipper (damned close, though), but some of my review must address the sheer enjoyment I get out of it both as such, and in a proper mix – and even if it *is* added to. Like Young’s Old Sam, it exists in a somewhat less hallowed underworld of rums embraced by bartenders and not so much by connoisseurs, and which some believe must be braved only with fireproofed throat and iron-lined stomach for the crazies who drink it neat. It’s strong, powerful tasting, heavy on a few clear flavours – and doesn’t so much whisper its antecedents as bellow out the sea shanties. It may not be the coolest rum you’ve ever had, or the smoothest, but by God, when you’ve tasted this thing you know you’ve just had a *rum*. Solid beginning leads to a disappointing finish: appearance and nose are excellent, but somehow not enough care was taken to follow through on these advantages. Appleton (or J. Wray & Nephew, if you will) so thoroughly dominates the rums of Jamaica, that it feels somehow wrong to see a bottle marked Jamaican Rum without the moniker of that famed distiller emblazoned on it. Now, not having been to Jamaica for many years (and having paid more attention to a winsome lass named Renu and markedly less to the available rums at the time), I’m a little off on exactly how many exported Jamaican rums there actually are. Still, I think it’s safe to say there aren’t many: Myer’s, Jamaican Plantation, Longpond, Worthy Park and a few others which make bulk rum for export, not “real” rum for consumption. 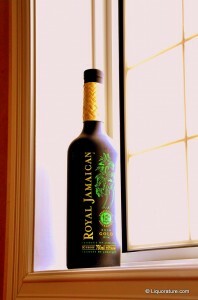 The bottle states that it is made by Royal Jamaican Rums; some trolling around shows that it is actually distilled in the Monymusk distillery located in the south central parish of St Catherine’s (I read somewhere it was just bought out by a consortium which includes J. Wray, but why insert reality into this?). And there are remarks on it being handcrafted, hand drawn and bottled, and meticulously blended which I simply pass over as advertising hoopla. However, what I can’t overlook is the appearance: a stark black bottle, bright coloured printing on it (it’s eye catching, I’ll admit: you see this on a shelf, you will come back for a second look, guaranteed), and a straw braided wrapping around the neck. Pretty original. You won’t mistake it for an Appleton, no doubt about that. That originality of appearance may be the second-best thing about it, if you’re keeping your eye out for some unique new product undiscovered and unappreciated by the hoi-polloi. The rum poured out as an amber gold liquid of middling legs (nothing special there) – and I thought the nose deserved a special mention. I sniffed soft floral hints right away, and hardly any sting; some medicinal phenol-like scents were sensed and then drifted away almost before I realized it, and a creamy chocolate smell wound around with grape sat at the core of it – it wasn’t quite as obvious as the Legendario was (the muscatel in there kind of boxed you on the hooter right away), and I appreciated the subtlety more. I need hardly mention that after opening up in the glass, our old standby aromas of caramel and burnt sugar deigned to make an appearance, though I doubt most people would want to wait that long. The taste on the palate did not, in my opinion, live up to the hype of either bottle or nose. Some people think tasting should be the sole criteria, and I’ve gotten no end of grief from friends who believe I’m insane to award (or deduct) points for the look of a bottle, or the effort expended in smelling what is at its most basic level, a drink to be drunk. And that’s perfectly fine. It’s just not fine for me, and I take enjoyment from all aspects of the experience – this is why I give more points to a well designed presentation than just an average blah bottle, and take my time with the nose of even a cheap product. However, here, the taste was dry and astringent, and the oak in which had been matured came through with surprising fierceness. It was arid and a little bitter, with a raw alcohol bite which gave the lie to that excellent nose I had enjoyed. And briny, with a weird biscuit undertone that made me wonder whether some wag had salted some hardtack into the maturing bourbon casks. And yet, a second taste suggested that a toffee or butterscotch flavour was trying to emerge with all the shyness of a girl showing her date the prom dress when he comes to pick her up. I was not impressed, is all – the arrival of the rum had started well, but didn’t even get to the middle stretch before faltering. A shame. And I sighed in disappointment as I felt the finish: a short acid burn, not kind to my throat, with zero redeeming features about it. I just didn’t get it, and still don’t now. Here was a rum with obvious attempts at pedigree which had a taste that simply failed. As a mixer it would cut it, sure, and I suspect that maybe that was because it was a blend of rums of maybe one to three years old; it was labelled on the makers site as being meticulously blended in small batches, and all this was to the good. 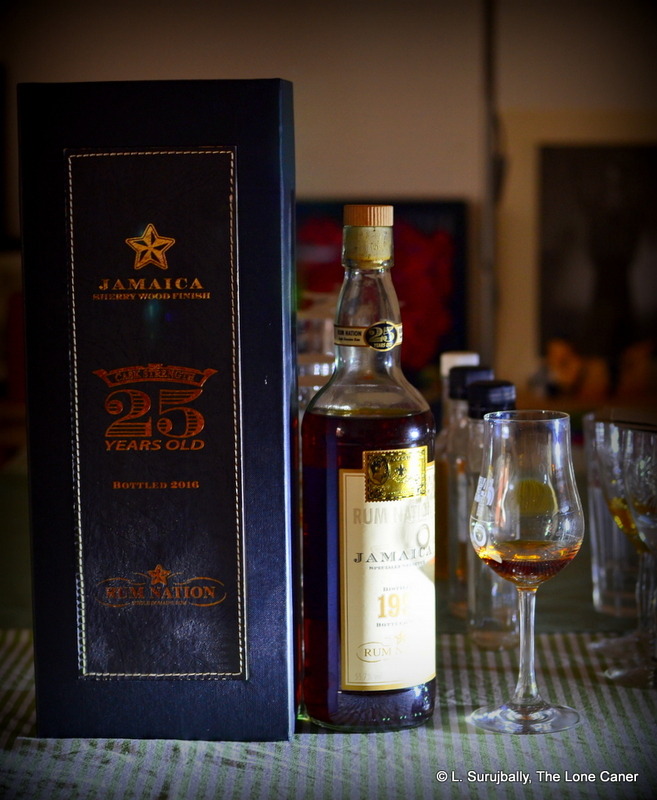 You’d just think that if a rum was going to take on the Goliath of the Jamaican industry, it would have had more overall quality, some more effort put in beyond the admittedly superior nose. Without a decent taste, it lowers itself to being another low-end mixer, slightly redeemed by better than average packaging and a good smell. Alas, drinking any rum is more than these things – it’s an overall aesthetic experience, and in spite of its impressive beginnings, at end it’s just a damned Anancy story. There’s an old South African joke I used to hear when I lived in that neck of the woods, about the perfect mouse trap designed by (who else?) Van der Merwe; his first iteration had a razor blade with a piece of cheese on one side: his stroke of genius was to assume that the mouse would lean over the blade to get the cheese on the other side and cut its own throat. The idea that the mouse could go around the trap never seemed to occur to Van. When this was pointed out to the baas, he went away and designed the perfected version – razor blade only, no cheese. How did it work? The puzzled rodent would go lower and lower, and cut its own throat while asking, “Where’s the friggin’ cheese?” This rum reminds me a little of that joke: I turn it around and around, drink sip after sip, and keep wondering where the hell the good stuff is, the uppercut that would take on Appleton. And then it’s gone and I finished it and I realize there just ain’t any, and it was a trap all along.